On March 13, 2011, Wilson Lab Facilities Manager Richard Gallagher awoke to an emergency phone call. Kite Hill, the 300 ft. long patch of trees and gravel behind Wilson Lab, had collapsed. The Lab’s power supply, which ran underneath the road adjacent to the landslide, was now at risk of irreparable damage. After extensive testing, planning, and coordination with the City of Ithaca, the Town of Ithaca, and Cornell University, the restoration of the hill has commenced and the project is finally nearing completion. 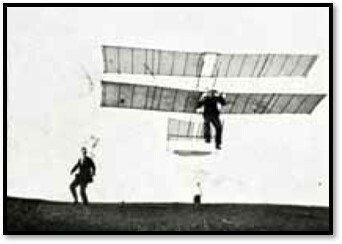 In the early 1900s, Kite Hill was treeless and used for student clubs testing engineless biplane and monoplane gilders. In years prior to the collapse, the Hill was a dumping ground for ice from Lynah Rink, road snow, and ground soil from miscellaneous Cornell projects. Because of easy access for dumping, and lack of apparent harm, these practices continued without consequence. However, due to the instability of the discarded components, the Hill gave way and collapsed in 2011, after an accumulation of heavy snow thawed. 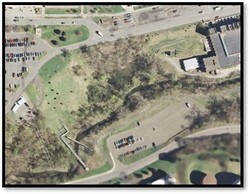 Construction Drawing for Kite Hill – The center line illustrates the boundary line between the City of Ithaca (left) and the Town of Ithaca (right), introducing further obstacles to the restoration of the Hill. From 2011- 2013: Campus Drive was rerouted, ground stabilization tests were employed, and designs for the slope repair and stabilization were created. Quotes for the reconstruction ranged between $1-1.6 million, greatly exceeding anticipated budget and resulting in project postponement. From 2015-2017: A new investigation was conducted, a revised plan distributed, and the start of project was announced (and then postponed twice). In 2017, when project coordinators were ready to begin, Wilson Lab administrators urged for the wait of repair, until June of 2018, when the Cornell High Energy Synchrotron Source Upgrade Project (CHESS-U) would commence. Weather, traffic, machines, and sounds produce vibrations, which affect both x-ray beam stability and storage ring stability. The repair of the Hill entailed large equipment and trucks rolling past Wilson Lab. Even though the synchrotron is underground, these vibrations from the repair would significantly affect the entire facility. Less than 50% of proposed research at Wilson Lab’s CHESS can be awarded for beamtime, due to the high demand of use of the facility. 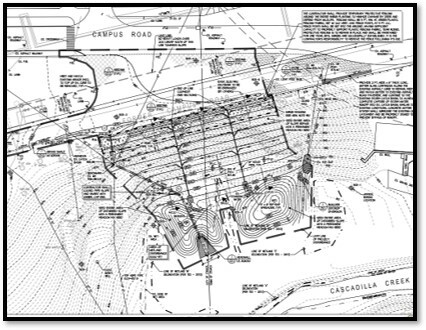 Between the large demand for beamtime, CHESS users traveling internationally, 24/7 operations, and radiation safety concerns, it was imperative to postpone the Kite Hill project until CHESS was not operating. 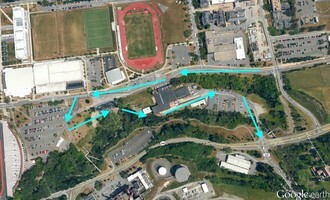 The Wilson Lab parking lot reopened on October 24, and the down will end in February 2019. 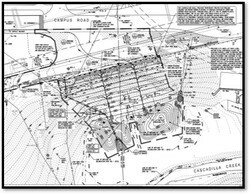 Many people are pleased with the completed work of the Kite Hill project and are looking forward to having this part of the Cornell campus fully restored.